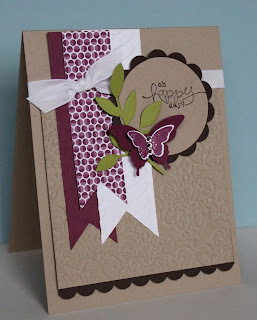 Just Julie B's Stampin' Space: Bloomin' Marvelous! I made this card with the Bloomin' Marvelous set - it's a FREE Sale-A-Bration choice! 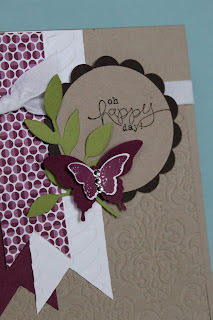 I love that the set has images AND some great sayings to go with them! I know I'll be using this set a lot! I'm also loving the new Bitty Butterfly punch - it's so cute to layer onto the Elegant Butterfly punch we already had from the main catalog.